Suda 51 is sort of known for making insane games. His games all look like they were designed in the midst of a fever dream, and contain levels of crazy that most regulatory agencies would certify as hazardous. And yet, there is always something brilliant about them, as they are consistently aesthetically interesting and tremendously unique. 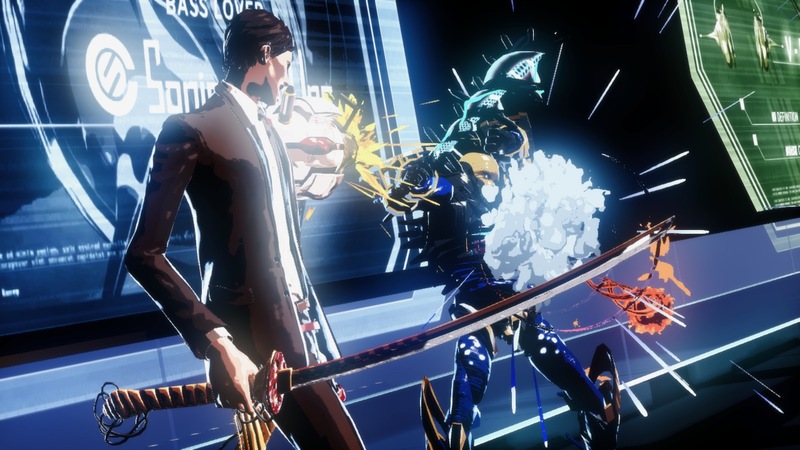 In a sea of samey shooters and generic cash-ins, Suda 51 titles have always been that shimmery flake of crazy pixie wonder dust in a bowl of homogenous oatmeal. 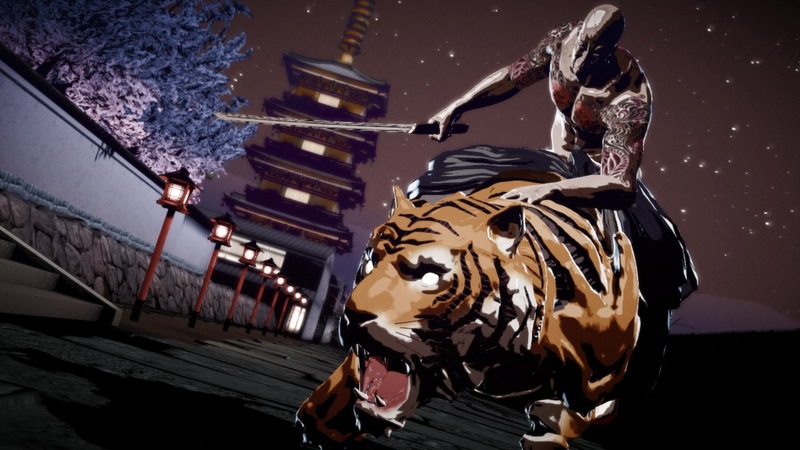 The latest game by Suda 51 and developer Grasshopper Manufacture, Killer is Dead, looks every bit as wonderfully over the top as their previous games. 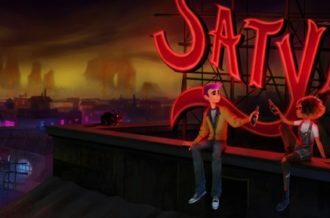 It combines a beautiful art style with stylized gameplay into a package that is hard to resist if you are a fan of the weird and unique. Killer is Dead throws you into the role of Mondo Zappa, professional assassin tasked with taking out some of the most ruthless villains across the globe. His appearance is decidedly toned down, almost comically so when taken in comparison to the foes he will be facing. It looks less like he is on a globe trotting mission to take down baddies and more like he’s late to a business meeting, his outfit consisting of a suit, tie, and all the other accouterments of a business professional. Oh, and he has a giant cybernetic gun arm. That’s normal for business men too, right? There is an interesting bit of contrast the comes from a fairly normal looking guy wielding a samurai sword and a massive gun arm, although interesting visual contrasts are something Suda 51 is well known for. The story occurs episodically, intentionally modeled after the nature of television programs. While each episode is independent, they do feed in to part of a larger story that ties the whole experience together. The idea is that gamers can enjoy Killer is Dead in nice, bite sized morsels. With the episodes being independent, you can complete one and then not feel lost if you come back into the game a week later to start a new one. Of course, if you are a glutton for the bizarre, you can try and consume the whole thing in one to two sittings and still not feel like you’re jumping around all over the place because of the overarching narrative. The levels are widely diverse and absolutely insane, transporting you from a fairly realistic depiction of Kyoto to the moon and even a wildly demented Candyland type level. Each level feeds into the next but is ultimately its own stand alone experience, much like a serial television show that they are trying to emulate. Of course, it wouldn’t be a Suda 51 game without big, memorable boss fights to punctuate the levels, and Killer is Dead is absolutely crawling with those. The bosses are wonderfully bizarre and extremely memorable, both in concept and visual execution. In gameplay footage that has been bouncing around the web since E3, we get a close look at one of the boss encounters in the game and the whole thing looks stunning. Taking place in Kyoto, Zappa is on the trail of yakuza boss Hamada-Yama. He ends up being on the tail of Hamada-Yama, too, as this yakuza happens to be possessed by some sort of demonic tattoo. The tiger tattoo can manifest itself into a physical form, and is shown mauling multiple chumps before returning to his resting place on Hamada-Yama’s back. You start off down a scenic path, surrounded by trees after you pass through some rose petals. The whole thing evokes a very calming sensation, which quickly dissolves as you enter into battle against skeletal ninja and samurai. Compared to enemies in other levels, these almost feel somewhat standard. This does not make them any less deadly, as your health meter can be drained quickly if you get careless. 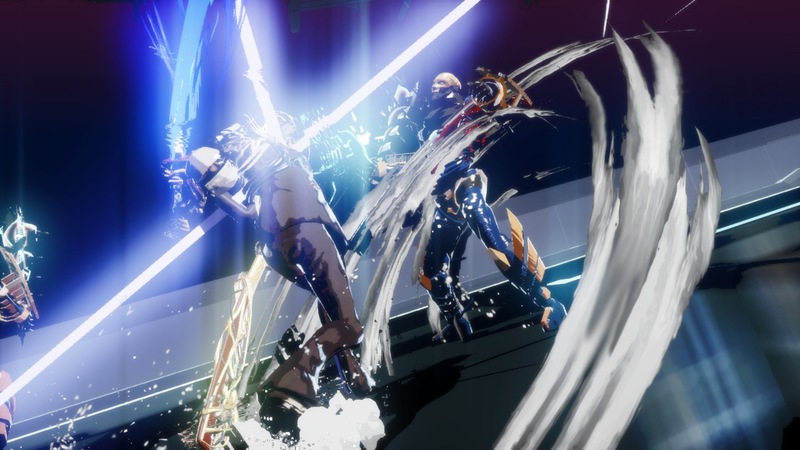 Combat is fluid and looks heavily stylized, relying on brutal combos that look as impressive as they are effective. Successful hits cut your enemy, drawing blood which erupts in a geyser once a foe is defeated. In addition to filling the required quota of gore found in a Suda 51 game, this blood has a use in battle as well. Collected blood helps to increase Zappa’s blood level, and unleashing this stored blood triggers extremely powerful attacks that can clear entire screens. Zappa is remarkably fast, and you can dart back and forth around your enemy. Draw in close to unleash a powerful combo with your sword or fall back and cover them with gunfire from your gun arm. You could try to get by with simple button mashing, but the best method involves attacking with strategy, employing powerful combos while avoiding attacks and falling back when necessary. Battles are slick and visually pleasing, but what is most impressive is that you are controlling the action. It doesn’t feel like you’re stuck in some quick time event, but rather that you are the one responsible for the action and not just responding to it. After clearing out all of his cronies, Zappa finally finds Hamada-Yama and lets him know he is there to collect his head. He is nothing if not a straightforward assassin. The battle takes place in multiple parts, with Hamada-Yama first mounting his tiger and fleeing through the woods. No one said yakuza bosses had to be brave, right? You chase him down on your motorcycle, needing to use your sword to inflict damage while maneuvering your vehicle in something that plays out like a simplistic Road Rash. He finally opts to fight you directly, first on his own and then with the aid of his tiger and each stage of the battle is intense and unique. Planning and taking advantage of patterns become even more crucial, as one blow can leave you missing several chunks of health. 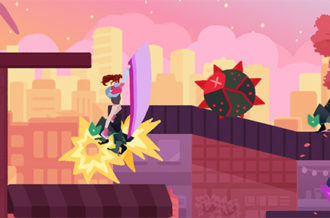 The battle is fast paced, testing your reflexes and skill far more than your luck. When the battle is finally over, Hamada-Yama asks for your assistance in committing seppuku, leading to a surprisingly powerful death scene in a level that had been basically nothing but death scenes. Of course, the game isn’t all blood and gore. There’s plenty of breasts, too. One of the more…er…unique features is the Gigolo Mode, a way to unwind after an afternoon spent killing by ogling scantly clad women. There are several women in the game that you will have the chance to woo, and by woo I mean stealthily ogle their naughty bits until they agree to sleep with you. I’m almost positive this is not how it works at normal bars, but then again I’ve never tried hitting on women with one giant robot mech arm. Zappa’s Gigolo Glasses allow him to peak through articles of clothing, and I’m having a hard time figuring out if this would come in handy in any other way other than being a pervert. Maybe he is just checking for weapons? That syringe the nurse was carrying might be weaponized! You never know! And, of course, it is hard to talk about Killer is Dead in detail without mentioning the visual appeal of the whole thing. A lot of work went into creating a unique, striking art style and visual flair is something this game has in spades. It is somewhat reminiscent of the film and comic series Sin City, amongst others, for the way the game plays with contrasts in lighting. 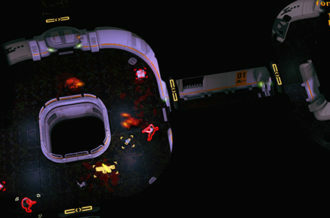 The game uses a cel-shaded style, but goes even further to make the visuals stand out by utilizing huge contrasts between the bright areas and the dark ones. The game isn’t afraid of throwing a lot of colors at you, with parts of levels looking like you are frolicking through a funhouse, but there is a darkness both in tone and color that balances everything out. Shadows are seemingly everywhere, at times obscuring part of the screen and at times focusing your attention on the few lone bright spots. Animations are smooth and crisp and even the more complex animations are pulled off well. The overall effect is one of remarkable polish and striking originality, and the game looks absolutely beautiful. 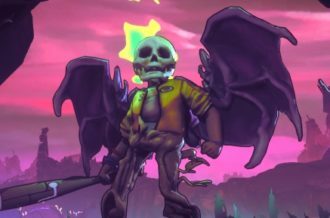 Killer is Dead is a game that, at the very least, cries out for recognition. It is unique and interesting in just about every aspect, from visual presentation to gameplay to story. 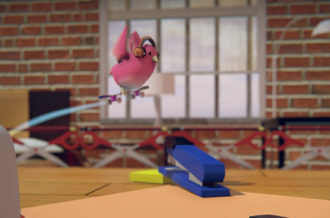 It looks to be one of the biggest and most interesting games to hit consoles this year, and every ounce of its extremely stylized presentation basically screams out to be played. While this game comes out in Japan August 1 (with some glowing reviews already being released), it won’t hit American shelves until late next month. If you’re having trouble waiting, you can check out one of Suda 51’s previous games as there really isn’t a bad one among them. 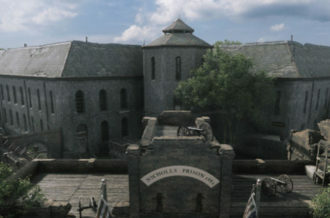 Even those, however, may not be able to fully prepare you for the insanity coming to your Xbox 360 and PS3 on August 27. ← Achievements Unlocked: How Much Do They Matter?